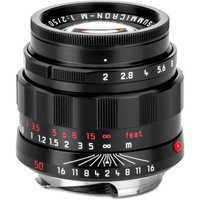 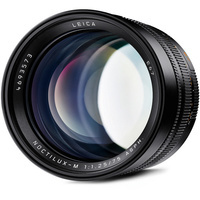 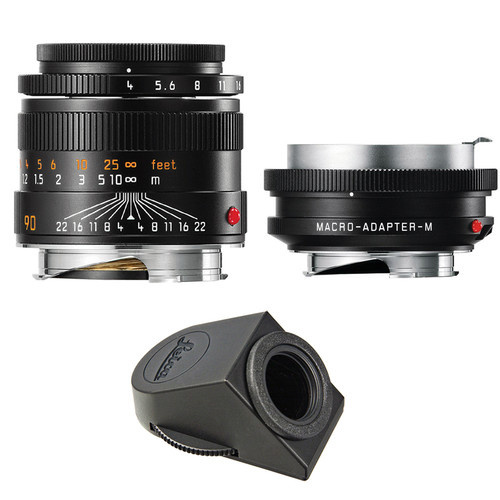 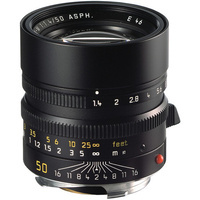 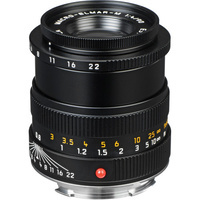 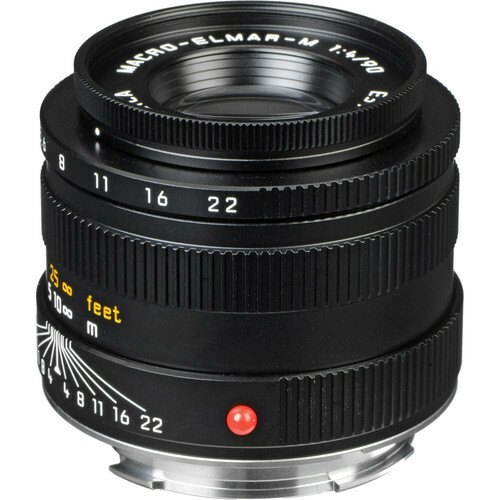 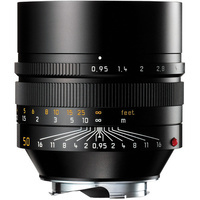 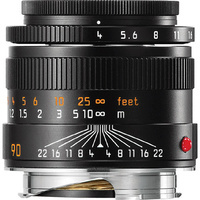 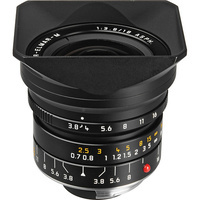 Configured for macro photography with a Leica M-mount rangefinder camera, the Macro-Elmar-M 90mm f/4 Lens Set with Macro-Adapter and Angle Viewfinder bundles the unique retracting short telephoto prime with the Macro-Adapter-M to achieve a 1:2 reproduction ratio and 16.1" minimum focusing distance for close-up shooting. 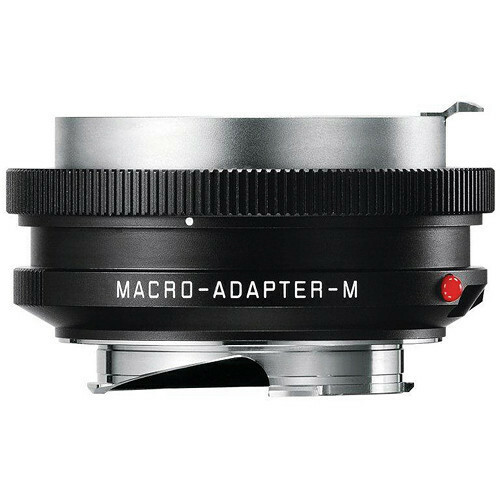 This bundle also includes the Angle Viewfinder M for more comfortable viewing when working from either high or low shooting angles. The Leica Angle Viewfinder M shows a large, round, upright, and un-reversed central section of the viewfinder image of approximately 0.3". 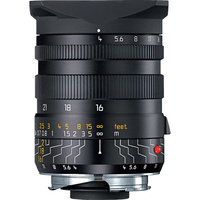 The freely rotatable 45° eyepiece makes it easy to view the subject in all situations, especially where the photographer does not want to hold the camera exactly in front of the eye, e.g. 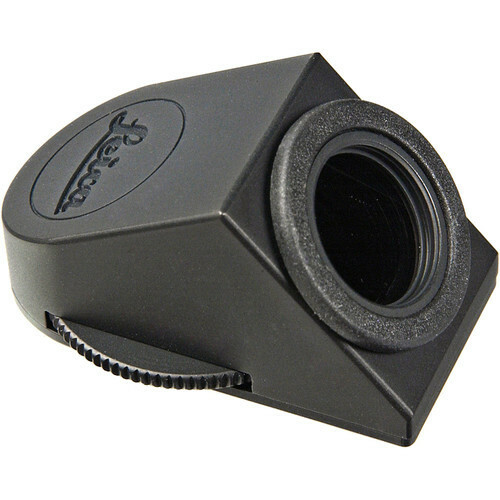 in case of reproductions or for close-ups close to the ground. Compatible with all M-series cameras, except with the first M-3 series (the production year 1954). 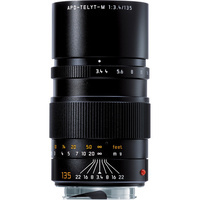 In black color, and supplied with a matching high-grade leather case. 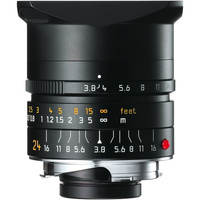 Box Dimensions (LxWxH) 4.882 x 4.803 x 4.646"
Box Dimensions (LxWxH) 3.1 x 3.1 x 1.4"